The intricate carving on the high headboard and footboard is coupled with tufted panels to create an attractive design. Each piece crafted to Perfection! 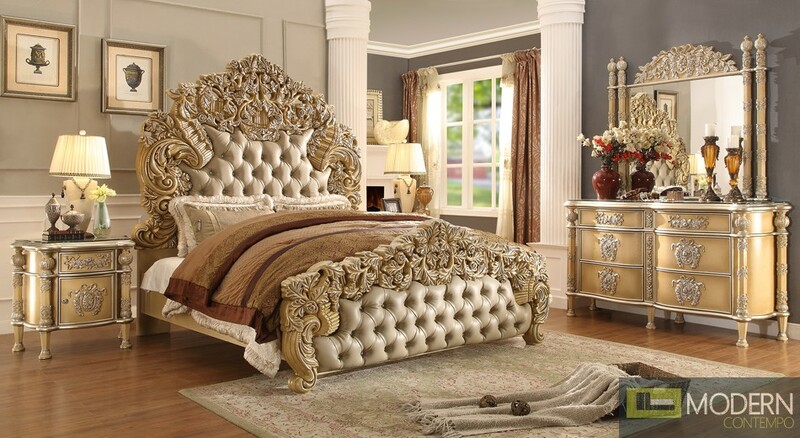 The intricate carving on the high headboard and footboard is coupled with tufted panels to create an attractive design.